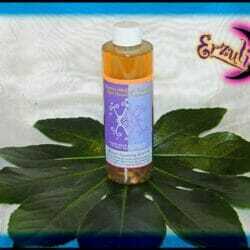 Vodou Baths, Vodou Spiritual Baths, Vodou Floor Washes, Vodou Ritual Baths and Vodou Bath Washes for spiritual healing, spiritual cleansing, love drawing & prosperity, reversing and protection! We are proud to present this line of authentic Vodou magical baths & floor washes, handcrafted exclusively for Erzulie’s exclusively by our favorite Vodou Mambos and highly experienced Vodou practitioners. As with everything at Erzulie’s, these powerful Vodou Bath & Floor Washes are hand-blended, using only the finest roots, herbs, oils & ingredients, then blessed and consecrated during Haitian Vodou rituals to insure successful results. Use these multi-purpose powerful Vodou bath washes for yourself or to cleanse your home. These are always the perfect supplemental spiritual items to any Voodoo Spells or Voodoo Rituals.